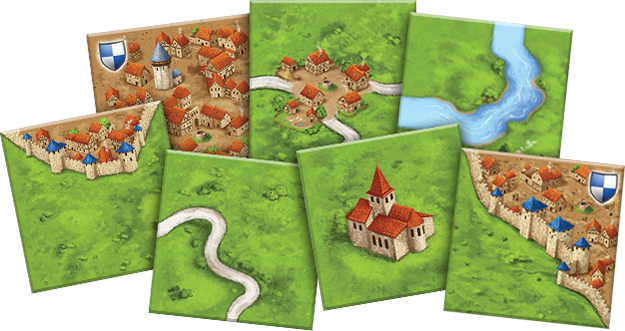 Develop the landscape of a medieval fortress city one tile at a time in this classic game. 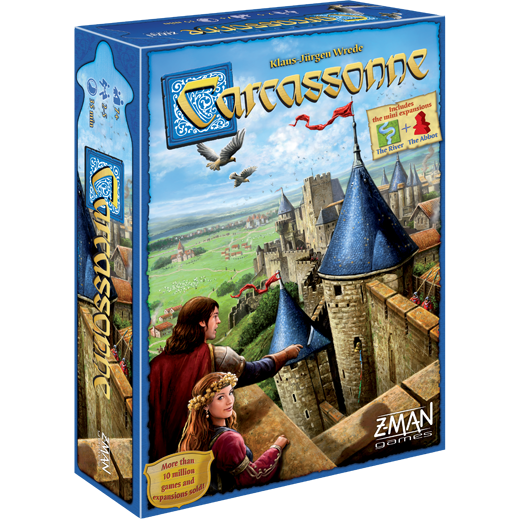 Inspired by the medieval fortress in southern France of the same name, Carcassonne is a tile-laying game in which players fill in the countryside around the fortified city. 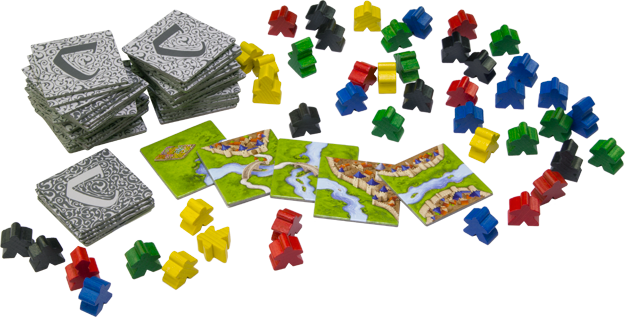 Players choose from tiles that depict cities, roads, monasteries, and fields; each new tile placed creates an ever-expanding board on which players can then add their followers. Players score points by having followers on features as they're completed. 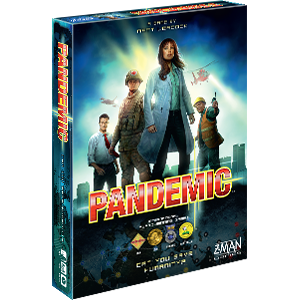 The player who makes the most strategic placements of tiles and followers will score the most points and win the game. 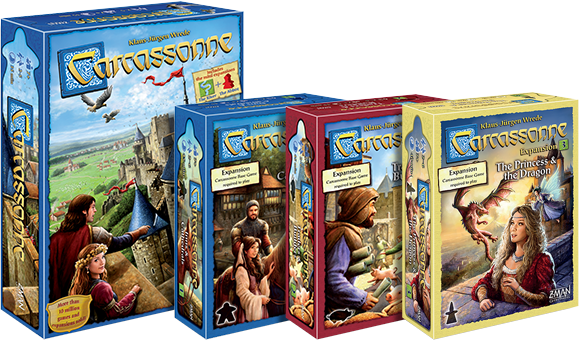 Followers can take many different roles in Carcassonne—knights, monks, farmers, or thieves—determined by the type of tile on which they're placed. Each role scores points differently, so you'll need careful planning to make the best use of your followers. 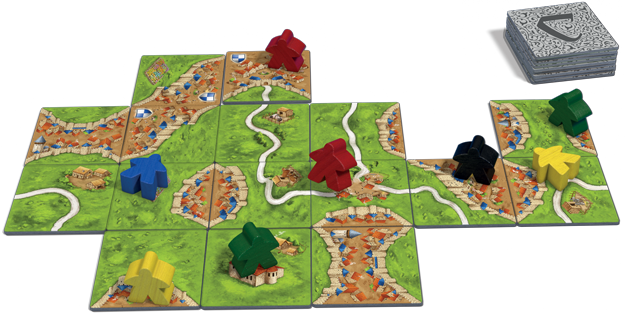 For example, thieves are placed on roads and score one point for every tile making up that road. 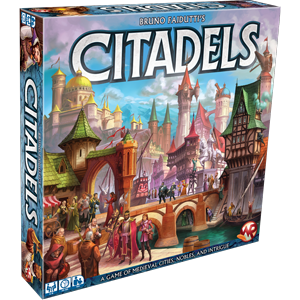 On the other hand, monks are placed in cloisters and score nine points—one for each tile surrounding the monastery—when the last of those nine tiles is placed. You have a limited number of followers and, once placed, you don't get them back until the feature they're on is completed. You'll need to consider whether to go for quick scores of low points that leave you with more available followers, or work toward higher points that commit your followers long-term. As the map grows, so does the opportunity for players to disrupt each other’s plans. Everyone is adding to the same map and only one follower can be on any given feature at a time—so if you don’t place a follower on something, someone else probably will. 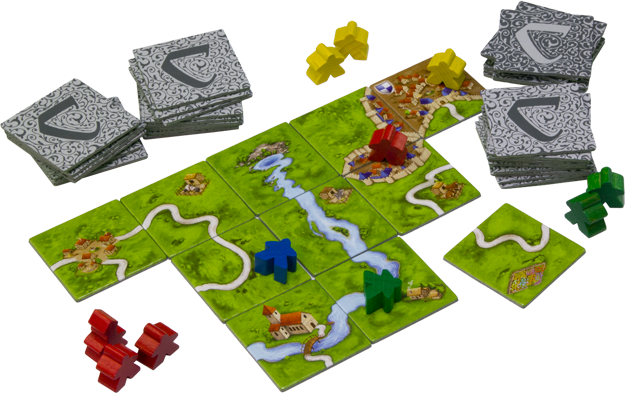 Clever placement of tiles and followers can deny other players points—or even steal them away. 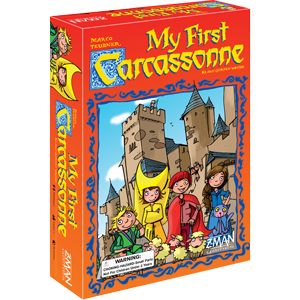 Whether blocking a city's growth or connecting with your opponent’s road to share the points, Carcassonne provides plenty of ways to use your cunning and outsmart your opponents. 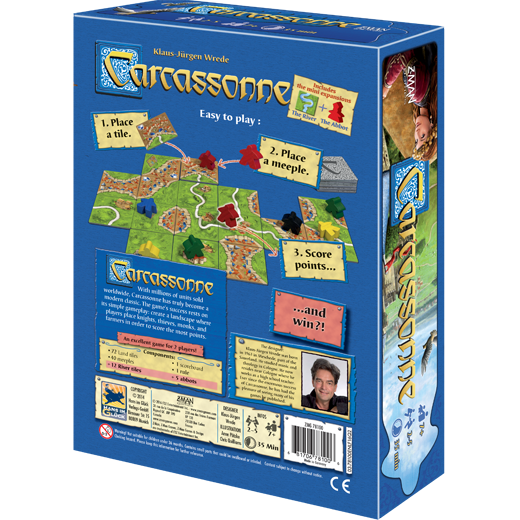 With its simple yet rich game mechanics and eighty-four tiles that can be configured into numerous combinations, Carcassonne appeals to beginners and veteran gamers alike. 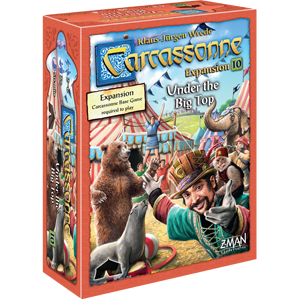 This edition is entirely redesigned and modernized, and includes two expansions: The River and The Abbot.